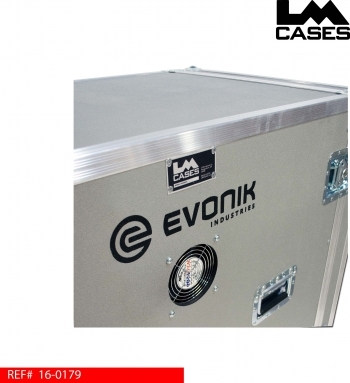 This case was built for Evonik Industries as a way to transport servers to and from events. The case features a 12RU server section with a dedicated 1RU KVM section and a 4RU patch section. 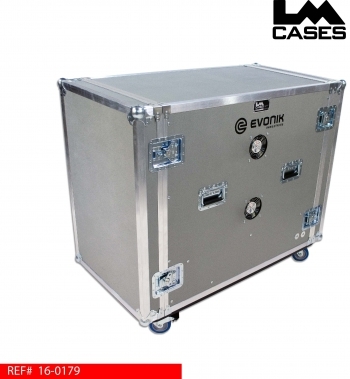 In addition to the rack sections, the case also features a storage drawer for power cables and other accessories. 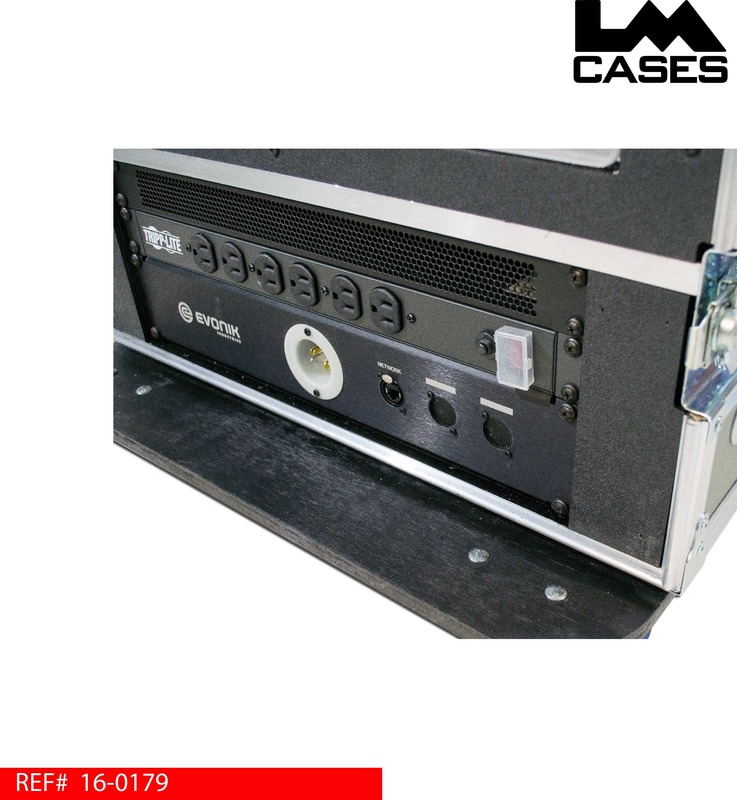 The case features a custom rack panel, PDU and fans installed by the LM Cases Custom Integration department. 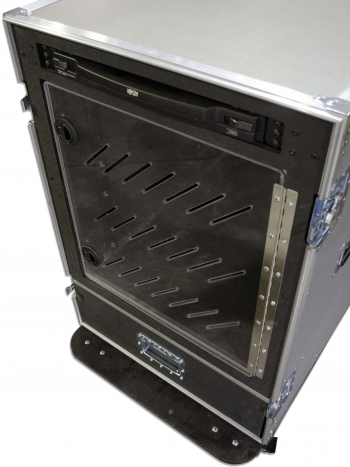 The main 12RU rack section is 39" deep and features clear 3/8" thick Lexan doors with vents. 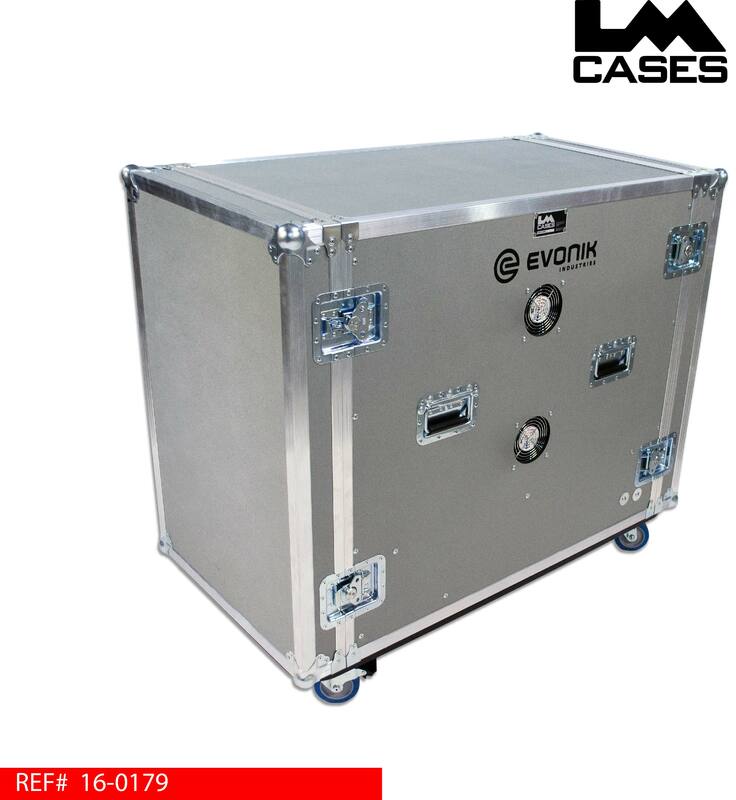 The doors allow the servers to be enclosed which reduces the noise and allows the servers to remain locked and plugged in and operating at an event. The 1RU KVM section allows quick and easy access to the KVM without the need to unlock the Lexan main doors during an event. The 4RU patch section features a custom built 2RU rack panel that features a 15amp Hubbell inlet, a Neutrik Cat5 jack and 2 additional D-Punch holes for future expansion. The panel provides power to the main rack section and a separate 12 outlet PDU. The LM Cases Custom Integration department provided the panel, PDU and KVM for the case. Below the main rack section is a 12" deep drawer built out of 1/2" Baltic Birch plywood. The drawer is finished in black texture coating and is mounted on HD Accuride glides. 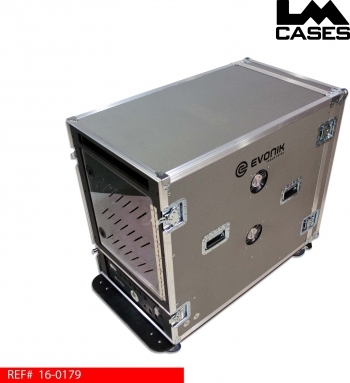 The exterior case is built out of 3/8" plywood that is laminated with silver ABS plastic. 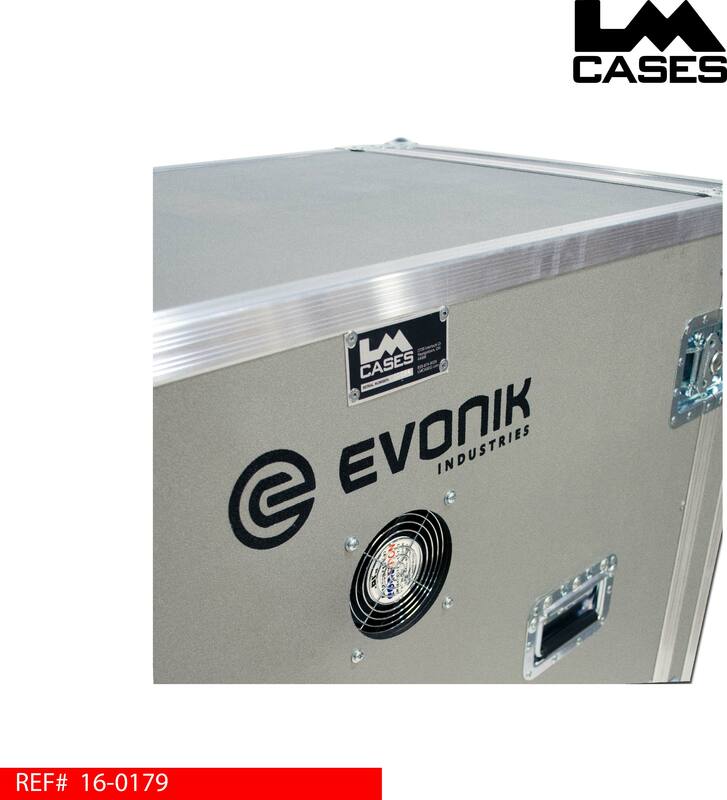 The case exterior also features deep recessed handles, cooling fans, Colson 4" casters and a custom silkscreen of the Evonik logo. Special thanks to Evonik for a great project!